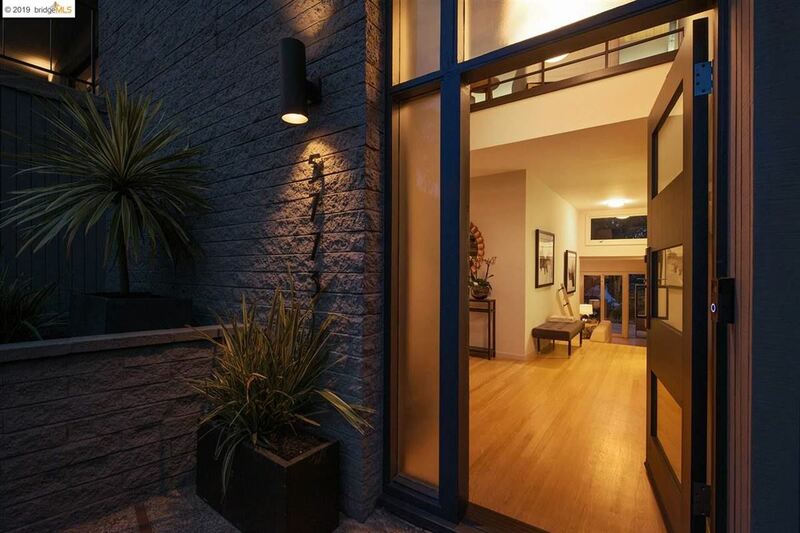 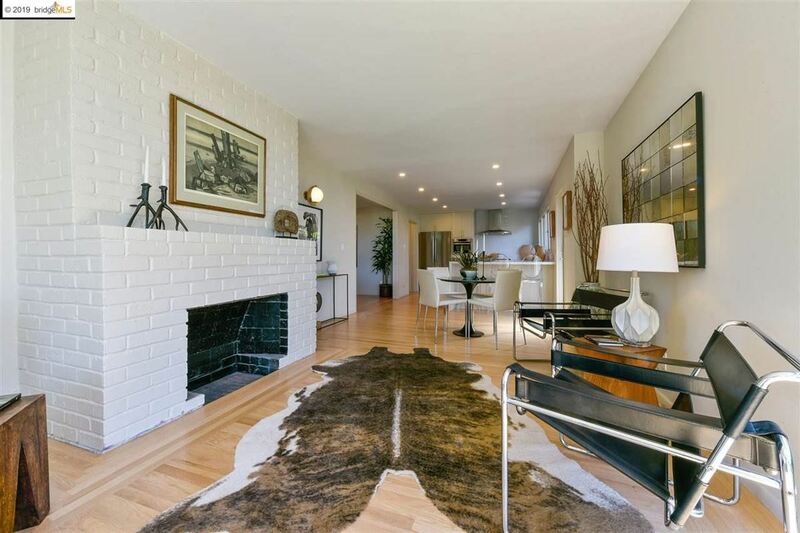 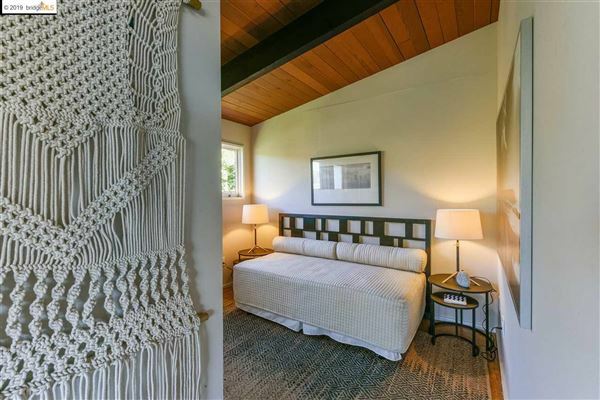 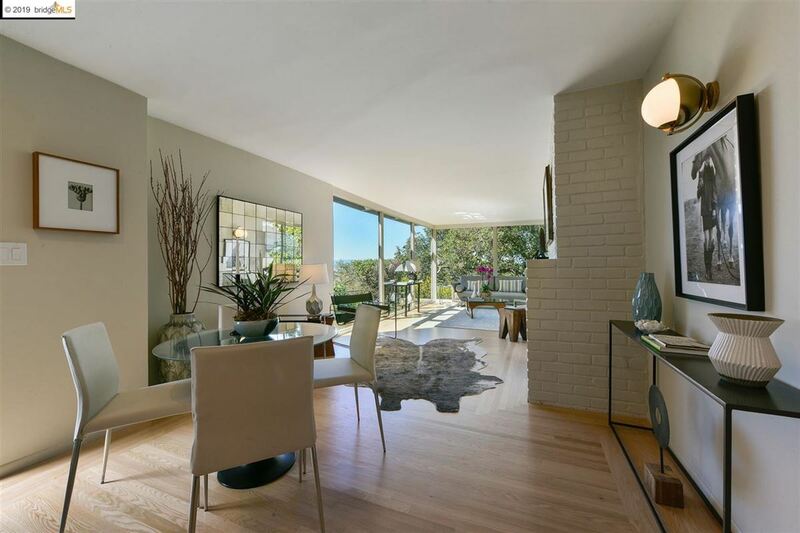 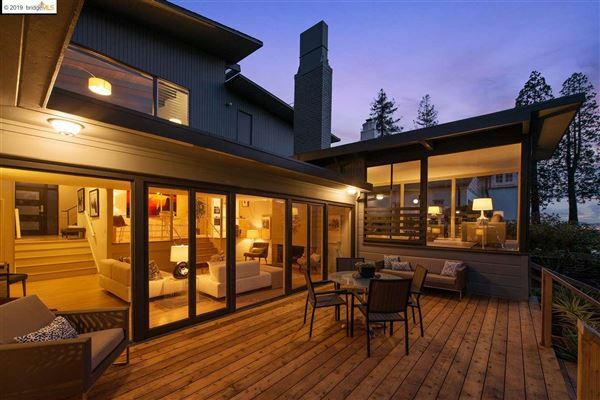 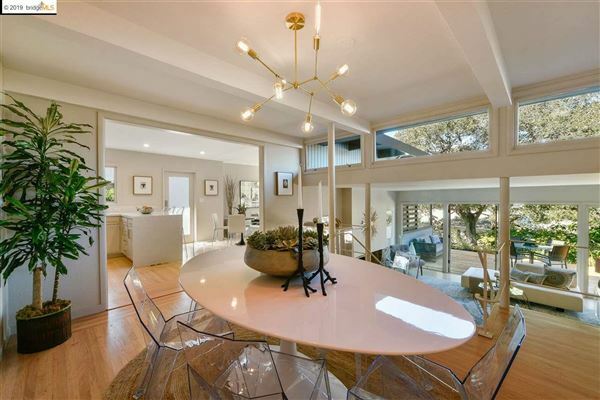 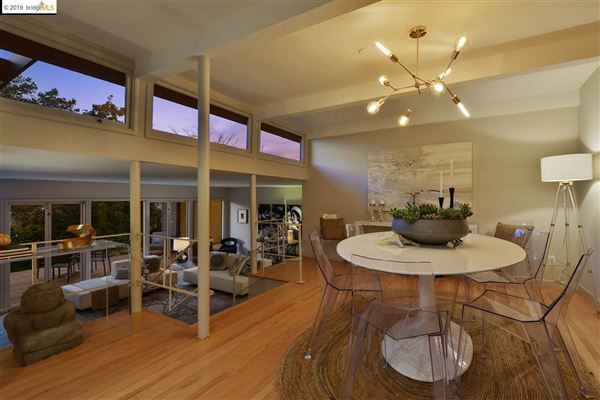 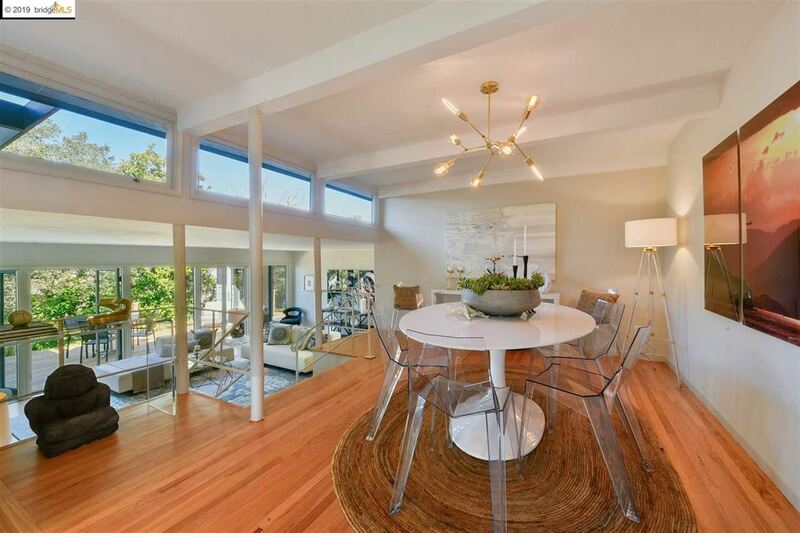 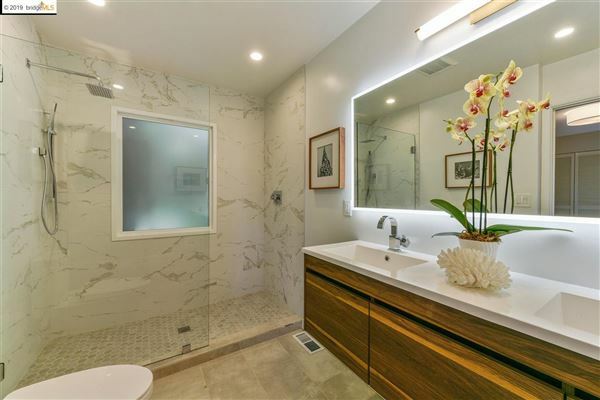 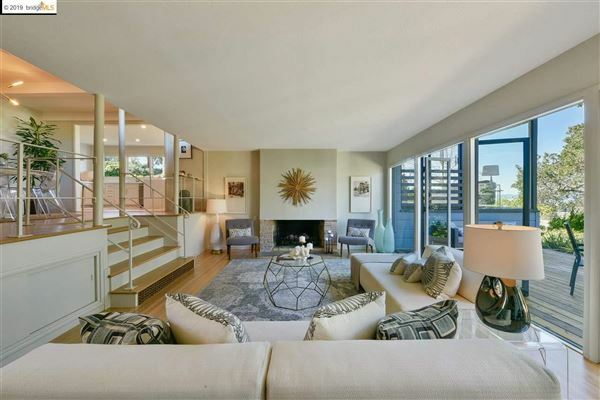 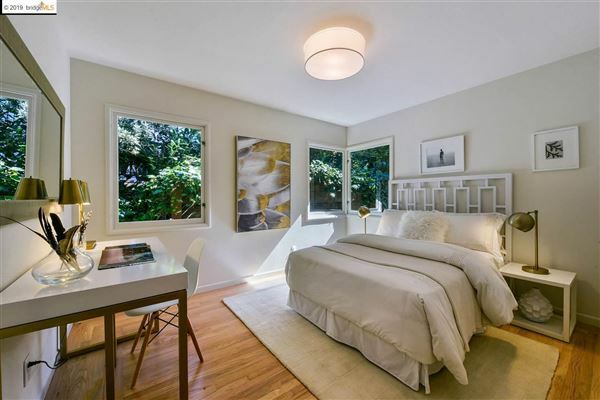 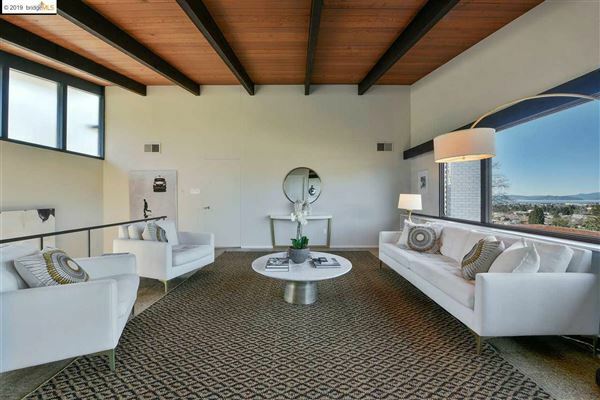 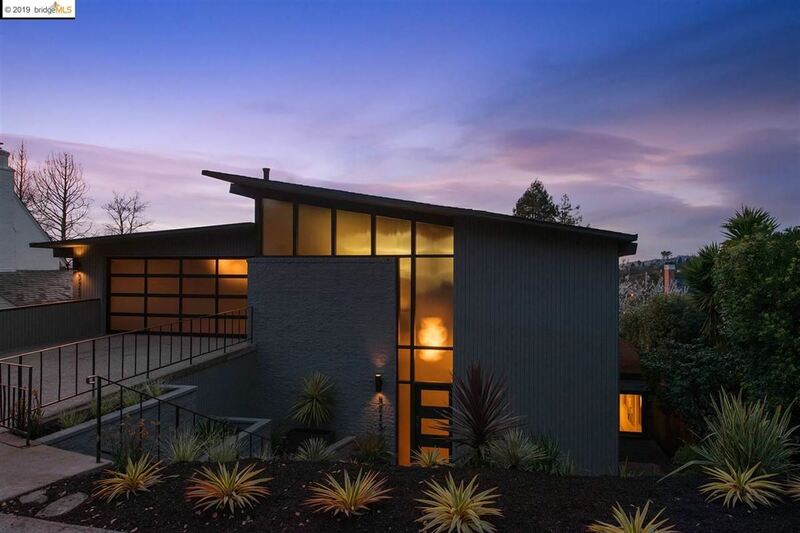 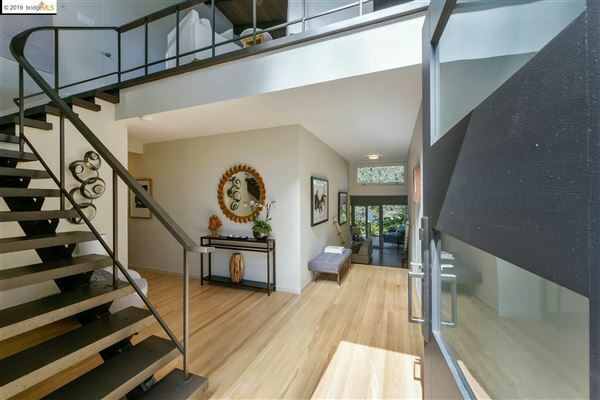 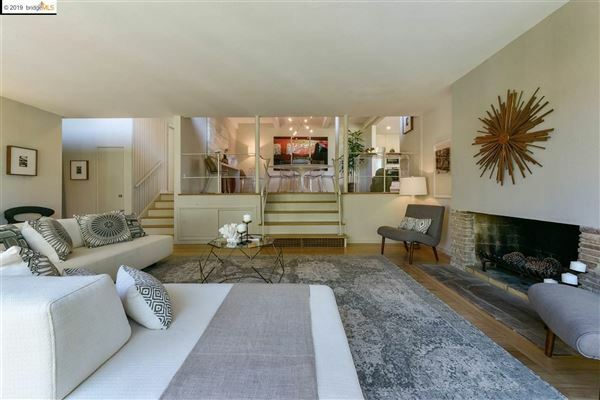 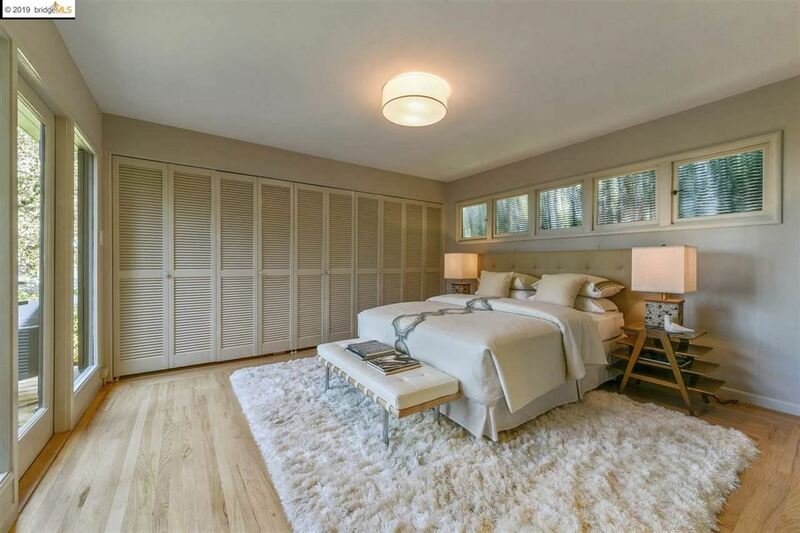 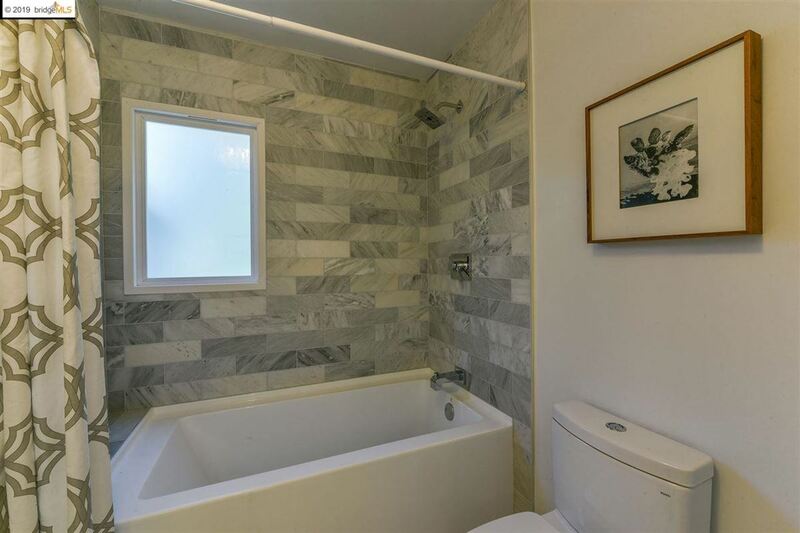 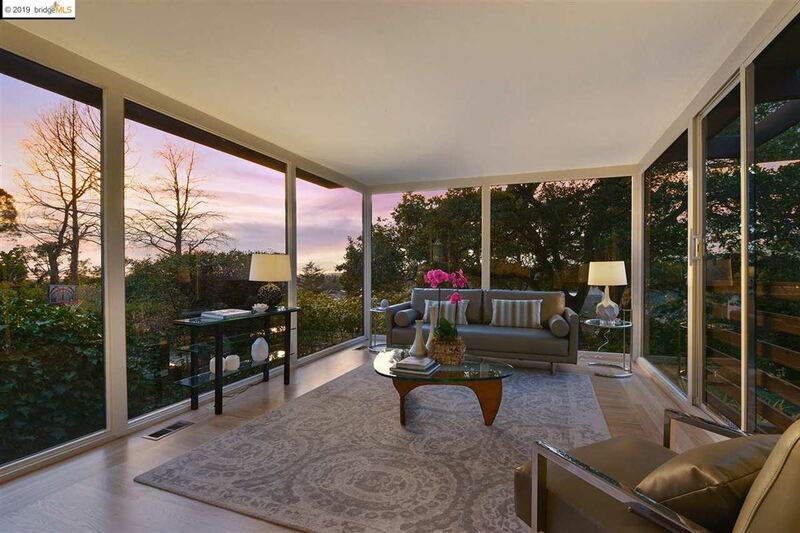 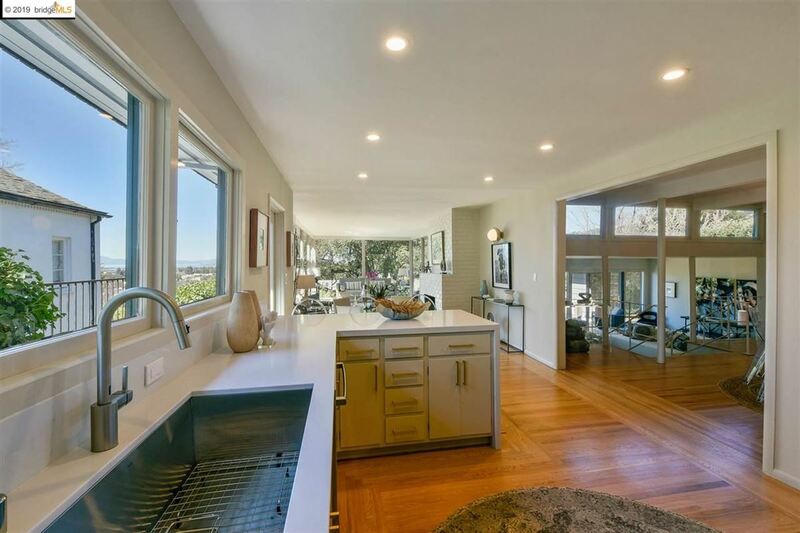 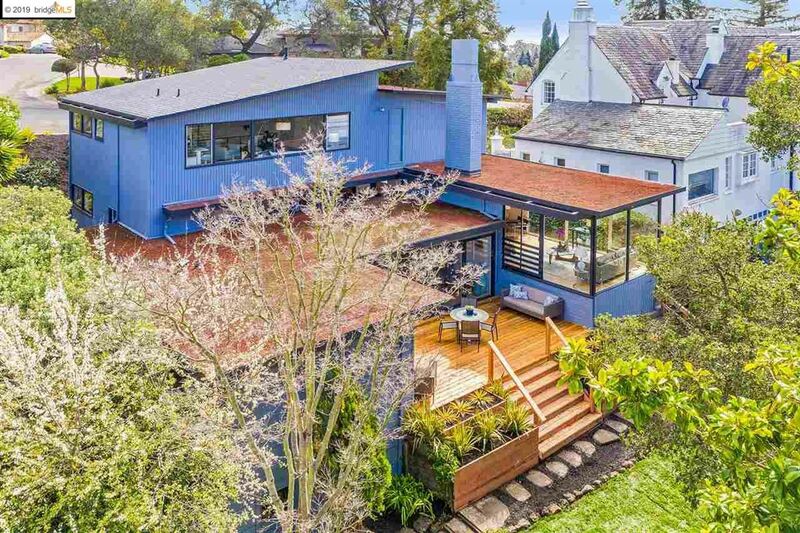 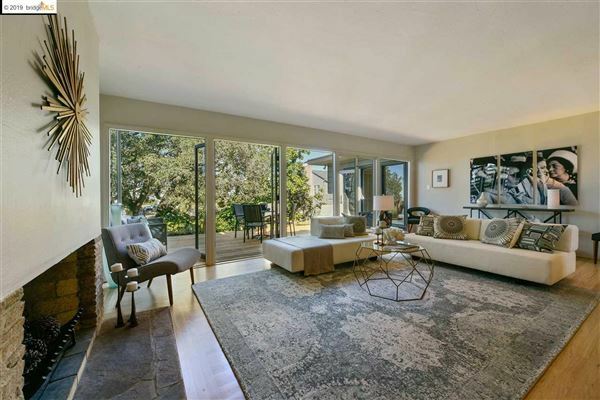 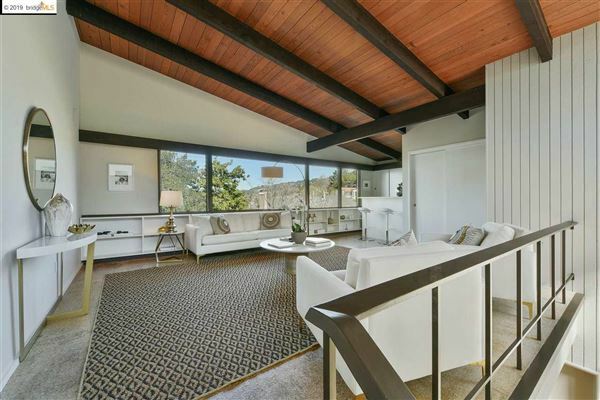 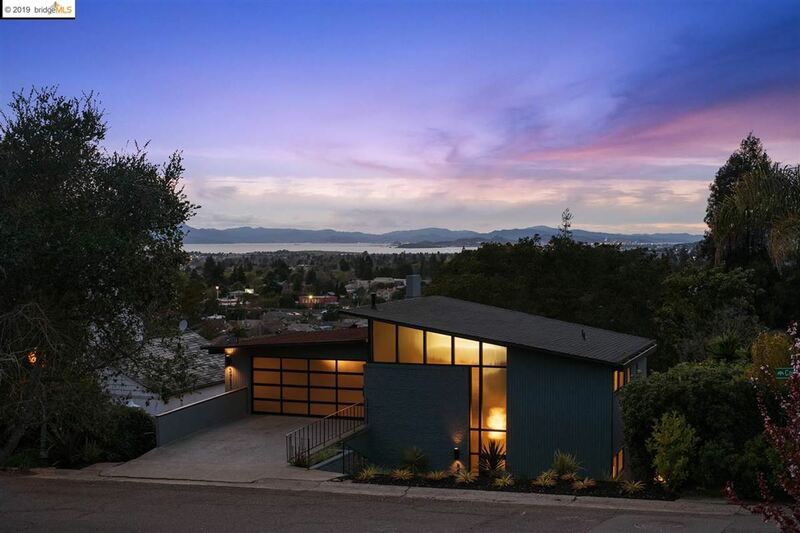 In the highly coveted neighborhood of Claremont Pines you will find this highly stylized, Mid-Century Modern. Casual and sophisticated elegance with an open flowing floor plan for today's lifestyles. The kitchen dining room combination is where friends gather to enjoy this welcoming space that offers views of San Francisco and the Bridges. Sunlight floods this room through walls of glass; you become aware of how the indoor comforts blend seamlessly with the outdoors. 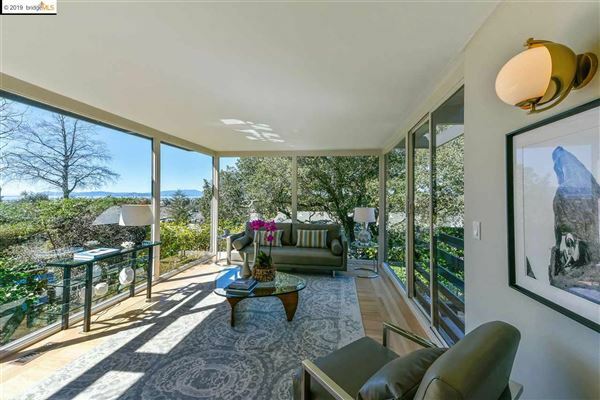 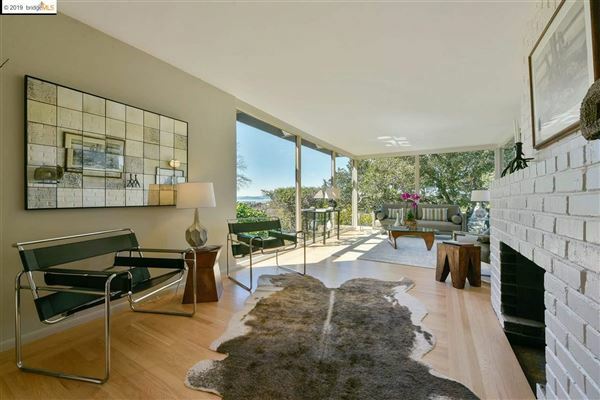 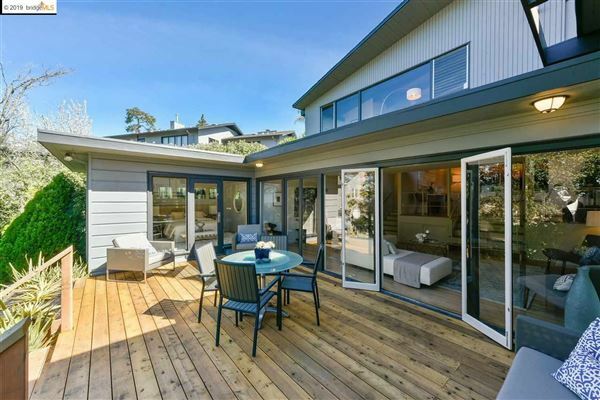 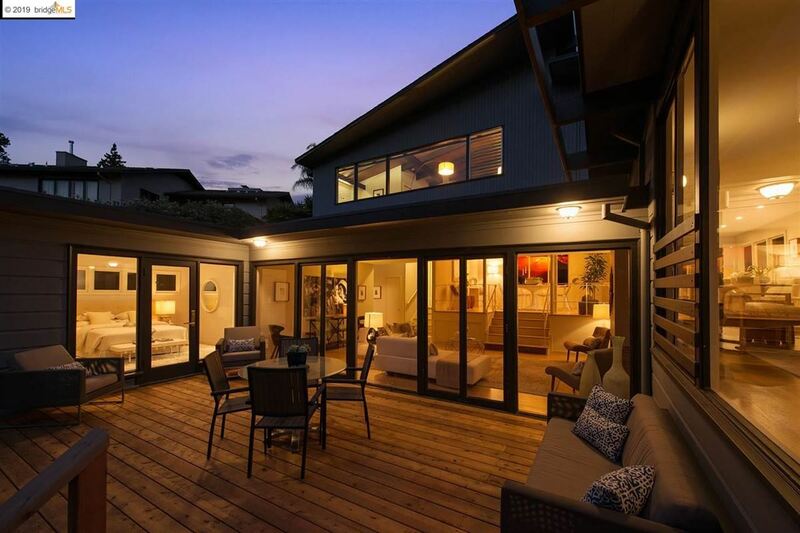 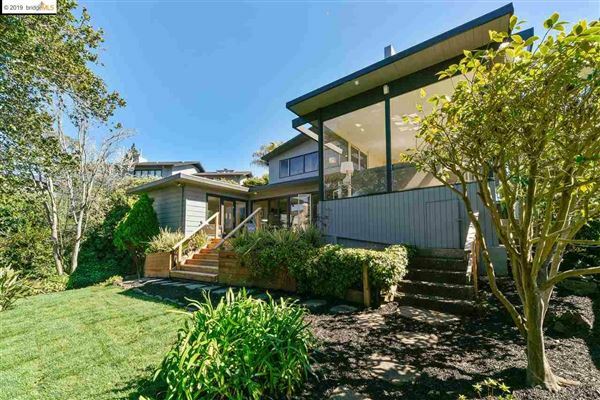 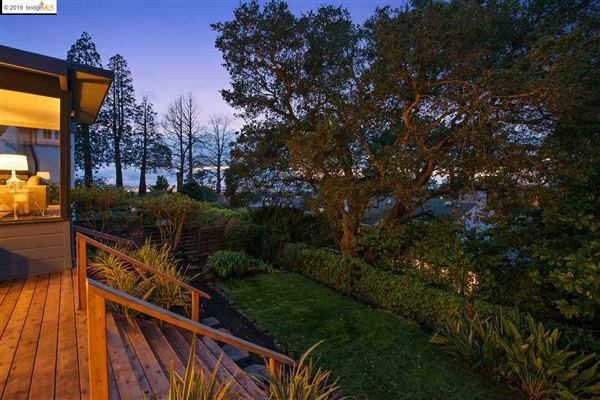 From the spacious living room floor to ceiling glass extends the indoors to the outdoors offering level passage to deck and to a sunny level lawn and gardens with views of the Bay. 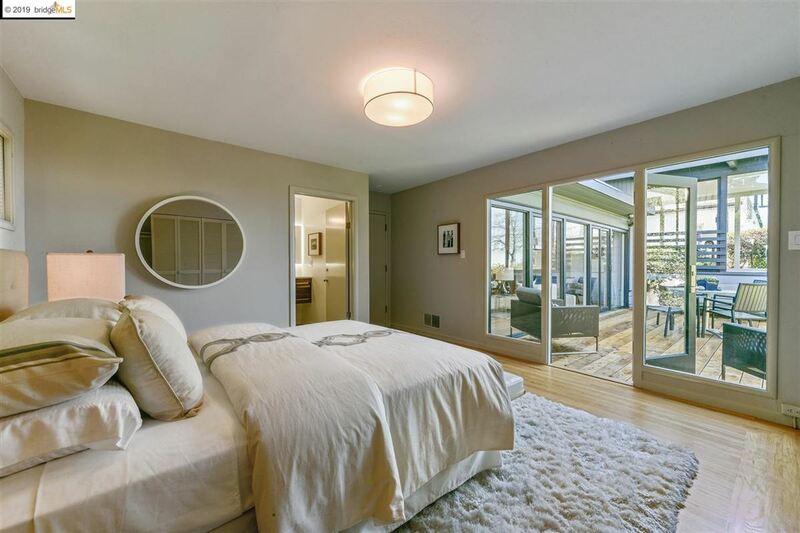 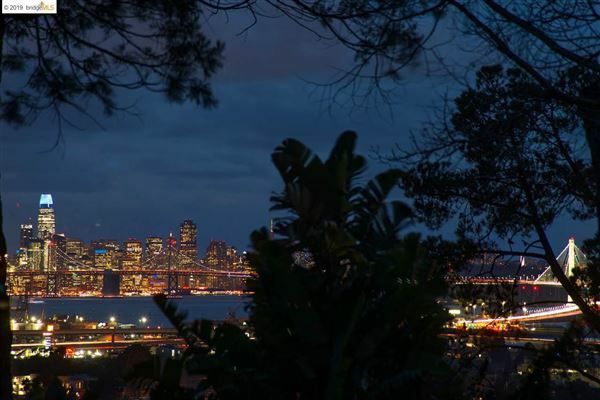 A luxurious master-suite with glass doors allows direct access to the private deck- the perfect place to start or end your day taking in the views of SF & the Bay. 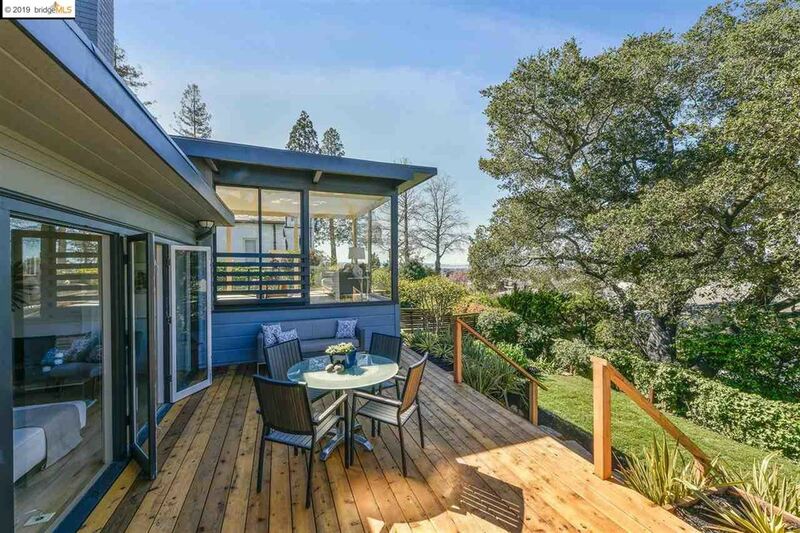 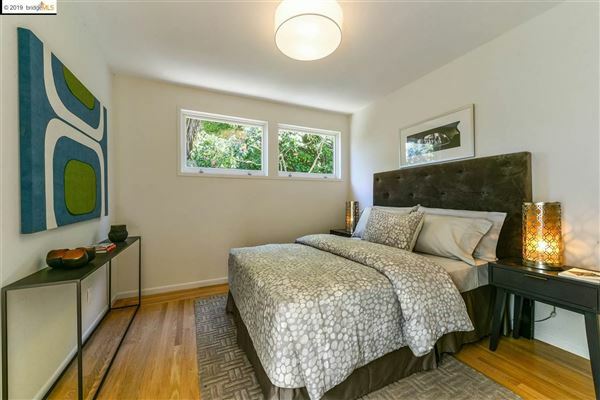 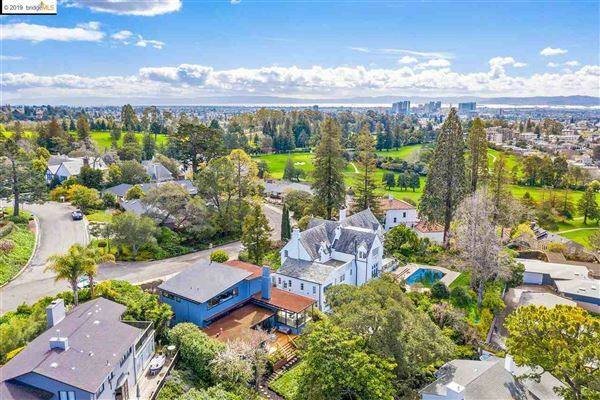 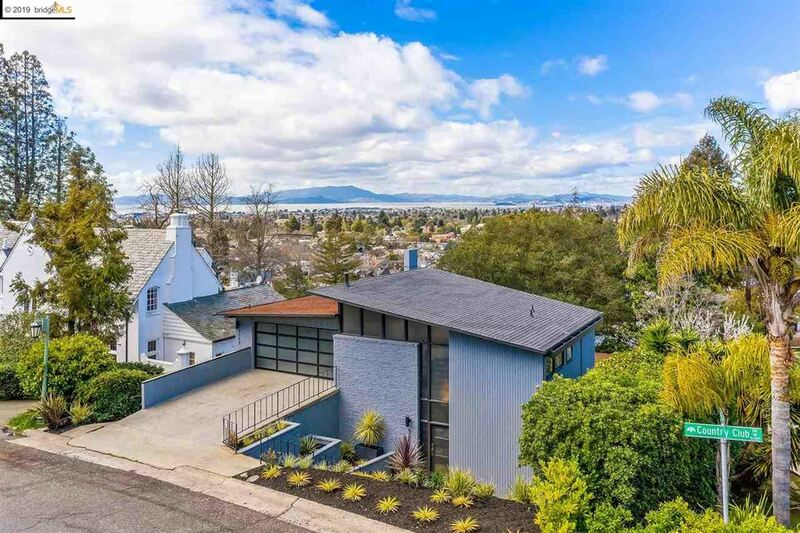 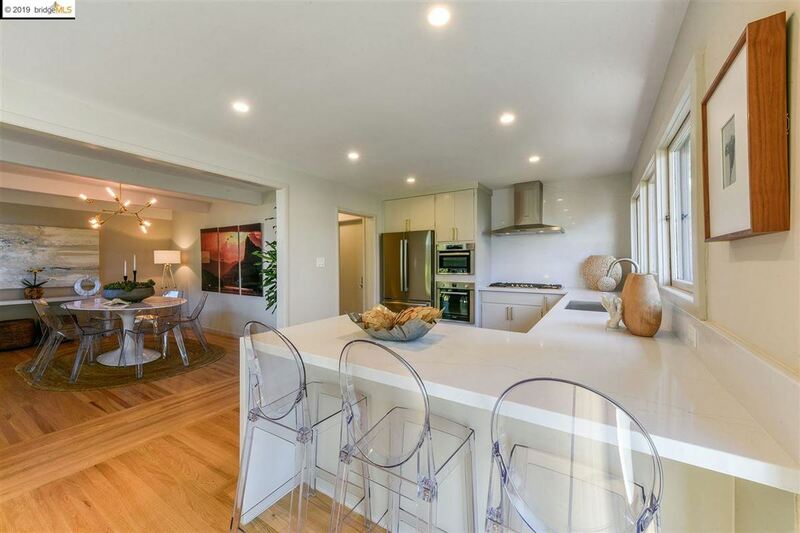 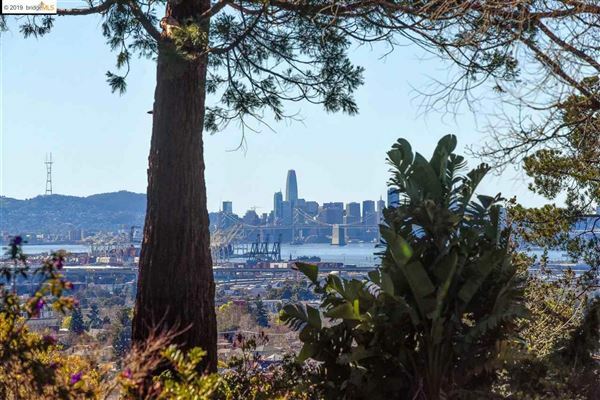 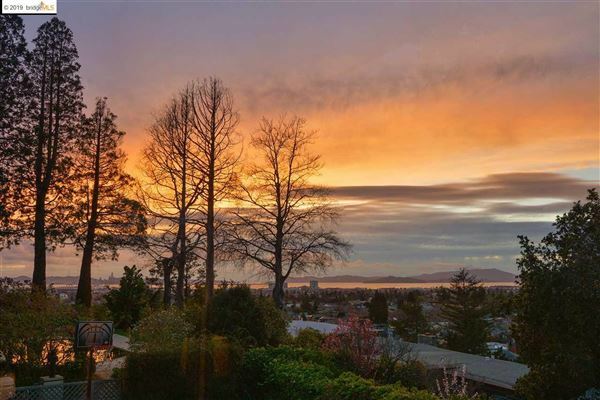 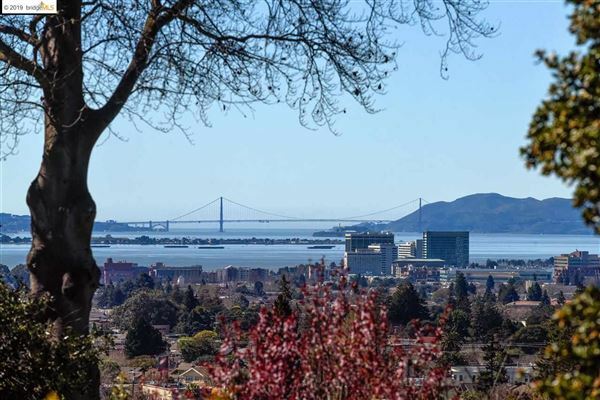 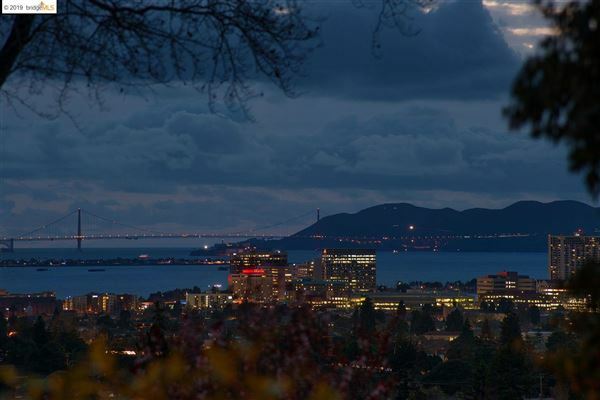 A premier location- minutes to Top Rated Schools, Rockridge BART, Montclair Village, Claremont Country Club, a few blocks to gourmet groceries & a local restaurant!